Leisuretime Pumps offer excellent value for money - without compromising on performance! 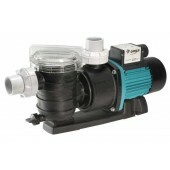 - Onga's Leisuretime series pool pumps are ideal for domestic swimming pool and spa applications. - Unique corrosion protection ensures your new pump will last you for a long time! - Onga LTP pumps are available in a variety of sizes to suit both small pools up to 15,000 litres as well as larger pools up to 55,000 litres.